Binlerce yıl öncesi evrimleşen insan türleri arasında, bilinen en az 6 farklı tür var iken, Sapiens giderek türlerin arasında gelişerek diğerleri gibi yok olmaktan kurtulmuş ve son 5.000 yıllık evrede de dünyada baskın canlı haline gelmiş durumda. Bu nasıl oldu? Harari bu kısa anlatımda bunun cevaplarını arıyor. 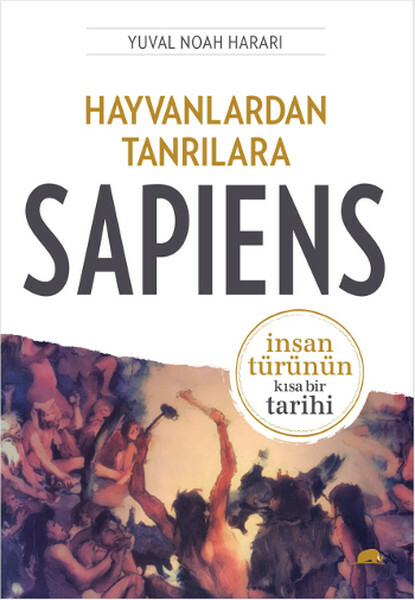 Evrimleşen Sapiens’in sorunları artıyor mu, yoksa azalıyor mu tartışmasında. Kolay okunur kitap konuyu bilenler için bir tekrar olmakla birlikte son dönem sorunlarıyla zenginleştirilen kitap okuyucuya ilginç bilgiler veriyor. Okurken zevk alacağınız ve pek çok bilgi edineceğiniz bir kitap. 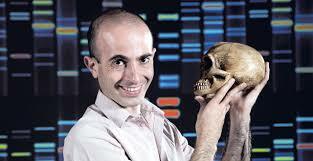 Yuval Noah Harari (Hebrew: יובל נח הררי‎‎; born 24 February 1976) is an Israeli professor of history and the author of the international bestsellerSapiens: A Brief History of Humankind. He teaches at the Department of History at the Hebrew University of Jerusalem. Harari, who is of Mizrahi Jewish background, was born in Israel to Jewish Lebanese parents. He first specialized in medieval history and military history, and studied from 1993 to 1998 at the Hebrew University of Jerusalem. He completed his doctorate at Jesus College, Oxford, in 2002 under the supervision of Steven J. Gunn . From 2003 to 2005 he pursued Postdoctoral studies in history, as a Yad Hanadiv Fellow. Since then, he has published numerous books and articles, including Special Operations in the Age of Chivalry, 1100–1550; The Ultimate Experience: Battlefield Revelations and the Making of Modern War Culture, 1450–2000; “The Concept of ‘Decisive Battles’ in World History”; and “Armchairs, Coffee and Authority: Eye-witnesses and Flesh-witnesses Speak about War, 1100-2000”. He now specializes in World History and macro-historical processes. His research focuses on macro-historical questions such as: What is the relation between history and biology? What is the essential difference between Homo sapiens and other animals? Is there justice in history? Does history have a direction? Did people become happier as history unfolded? His most recent book is titled Sapiens: A Brief History of Humankind (originally published in Hebrew under the title A Brief History of Mankind, and later translated into close to 30 languages). The book surveys the entire length of human history, from the evolution of Homo sapiens in the Stone Age up to the political and technological revolutions of the 21st century. The Hebrew edition has become a bestseller in Israel. It has generated much interest both in the academic community and among the general public and has turned Harari into an instant celebrity. YouTube Video clips of Harari’s Hebrew lectures on the history of the world have been viewed by tens of thousands of Israelis; He is also giving a free online course in English titled A Brief History of Humankind. More than 100,000 people throughout the world have already taken this course. Harari twice won the Polonsky Prize for Creativity and Originality, in 2009 and 2012. In 2011 he won the Society for Military History’s Moncado Award for outstanding articles in military history. In 2012 he was elected to the Young Israeli Academy of Sciences. In 2015 Sapiens was selected by Mark Zuckerberg, the founder of Facebook, for his online book club. Mark invited his followers to read what he describes as “a big history narrative of human civilisation”. "Harari is a vegan and the dire plight of animals, particularly domesticated animals, since the agricultural revolution is something he riffs on" in his writings. Harari lives with his husband in moshav Mesilat Zion near Jerusalem. Bende bu ayki kitap alışverişimde aldım henüz okuma fırsatı bulamadım.İnternette çok güzel yorumlar okumuştum merak ediyorum. Bu tarz kitapları seviyorsanız beğeneceğinize eminim. İyi okumalar. Sevgi ve saygılarımla.